Who's going to this weekend? We're going! I should have David along at a minimum - maybe the whole family. Looking forward to it! We're currently working our way back from WSIKF. Will knock the sand out of the kite bags and head up for Two Rivers on Friday. Looking forward to see everyone. Why bother removing sand? . . . you're just going to be back on the beach at KOLM! It will be good to see you there, and you can give us the full WSIKF report. Mikey and I will be there. Can't wait to see everyone. But please, nobody go to Michicgan. Oh man Jeff, I am so glad that you send something. I would have ended up on the other side of the lake when all the fun was going down in Wisconsin. Hey!!! who edited the subject? I was planning to go to Michicgan!!! I wish you guys would decide where this festival is going to be held . 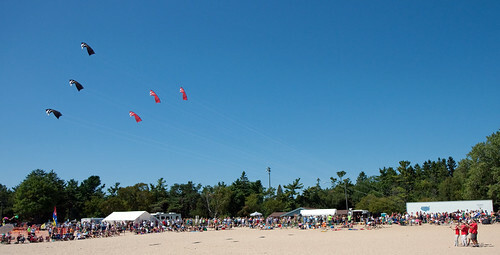 . .
Kites Over Lake MICHIGAN in Wisconsin. 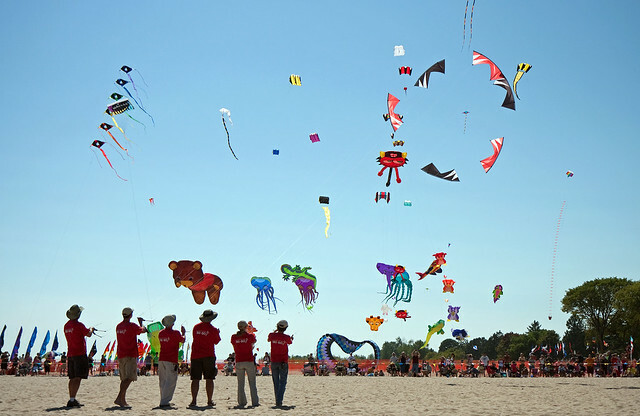 Have kite, will fly. Need ride and roommate. FYI, according to Chow's site, the 17th street bridge is out, need to use the 22nd street bridge. One of my favorite bumper stickers is/was "Getting old isn't for wimps". Well, this morning I'm a wimp. Back pain is a little too much for two days on the beach, so will be spending the weekend at home. Sorry to cancel out at he last minute ... was looking forward to seeing everyone. Tom: we'll miss you, it's been a long time. Excellent video... Even better in person! ...You guys and gal did an Awesome (WINDerFULL) job! What a fun weekend! 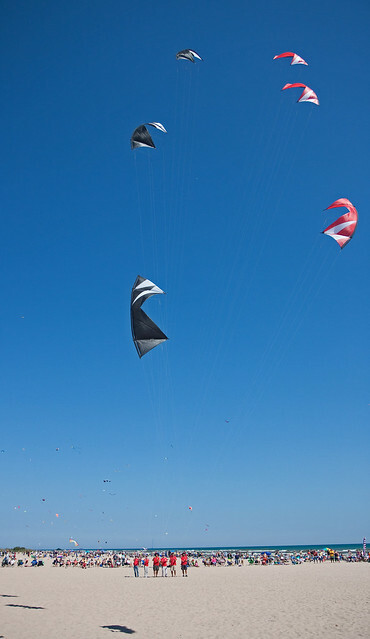 Beautiful weather, and on Sunday, some of the best wind we've had in a long time. Mike wrote: What a fun weekend! Beautiful weather, and on Sunday, some of the best wind we've had in a long time. I think someone did pick up an extra. I forgot who.